How healthy is halloumi? That’s a bit of a tongue twister to start with! We know halloumi is tasty, and it’s certainly one of those cheeses that you can’t stop eating once you’ve started. But let’s get down to halloumi cheese nutrition – how healthy is it? 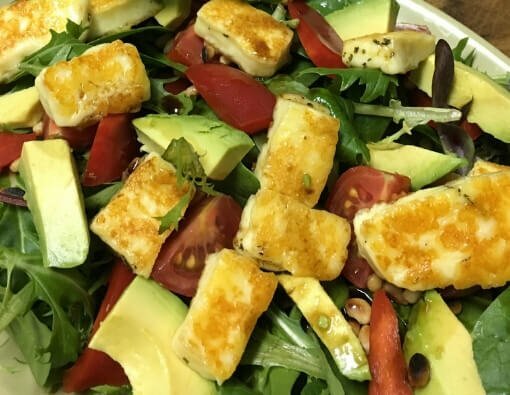 We examine the nutritional profile of halloumi, so that you can understand whether it should be a regular part of your diet. Originating from Cyprus, halloumi is a semi-hard, brined cheese that is often made from either cow, sheep or goat milk. The brining produces quite a salty flavour. 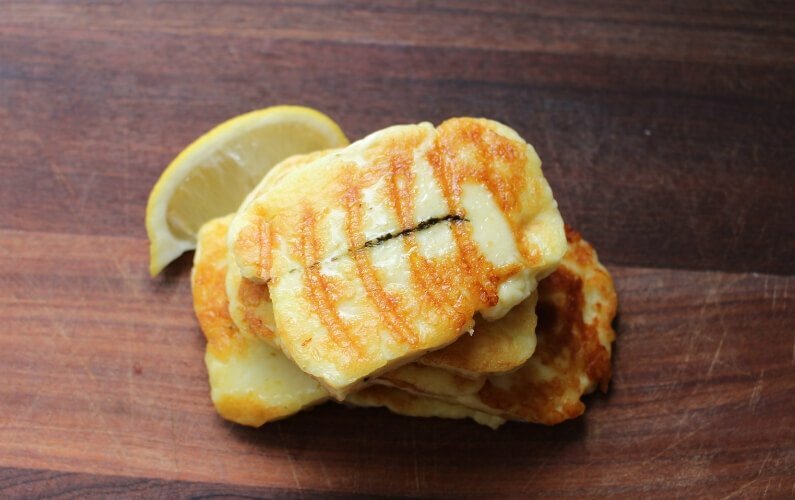 Halloumi can be eaten raw, or you can grill, fry or bake it without it melting easily. Here at Olympus, our halloumi is made on fresh pasteurised cow’s milk, and we do a buffalo milk version as well. Our cheeses are made largely by hand, following a Cypriot recipe that has been passed down through generations. Part of this tradition, is the use of pure local ingredients abundant to the area. 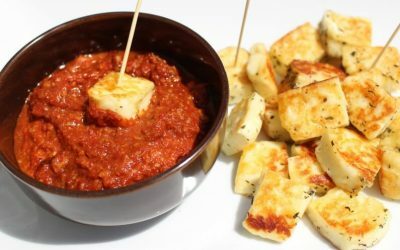 We do not use any preservatives or other nasty additives when making our halloumi, and we use a non-animal rennet. This means the product is perfect for vegetarians as a source of protein as well as those who prefer to not include preservatives in their diet. As you can see, these cheeses have fairly similar profiles. A word of warning though if you need to watch your salt intake: you may find some halloumi brands have significantly more salt. Calorie King also say the average 50 g serve of halloumi has 1450 mg of salt per serve. As well, both cheeses could also be made with reduced fat milk, which decreases the fat content, but may increase the carbohydrate or sugar content of the cheese. While this is a good average guide, it is a great idea to check the nutritional panel for the products you buy, to see if your chosen product suits your needs. Whether your chosen brand of cheddar or halloumi comes out on top may depend on whether you are looking for a low carb, high protein, or low fat higher carb product, as well as those with higher or lower salt contents. What other important minerals does all cheese contain? According to Nutrition Australia, cheese is packed with key nutrients. Cheese naturally contains many important nutrients such as protein, vitamin A, vitamin B12, riboflavin, phosphorus and zinc. In fact, cheese is the second largest source of calcium in the Australian diet, which is important given that one in two Australians are not getting enough calcium in their diet each day. Calcium is an important nutrient for health, particularly bone and dental health. 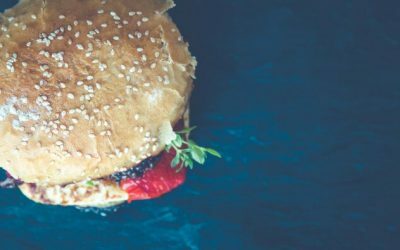 One of the main components of dieting is cutting down on excess calories, however this often means you cut down on those punchy tastes which really bring a meal to life. A benefit to eating cheese, and particularly halloumi cheese is that you only need to use a small amount to bring a big flavour hit to a meal. Halloumi also has a richness of flavour which helps you feel fuller for longer, especially when you use a full-fat halloumi. Halloumi’s full texture and ability to be cooked means it is an easy way to increase protein in your diet while either complementing or replacing meat products. This means, it might be a great option for increasing protein or even for low carb or keto meals. Enjoy experimenting with adding halloumi to your meals and remember that a little bit adds a big flavour hit! 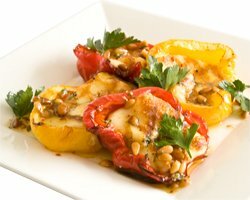 Why not add some healthy halloumi recipes to your table? People use halloumi across all meals including dessert! Try this roasted tomato, halloumi and quinoa salad. For those who love meat with their meals, this chicken, halloumi and avocado salad probably won’t break the bank calorie wise. 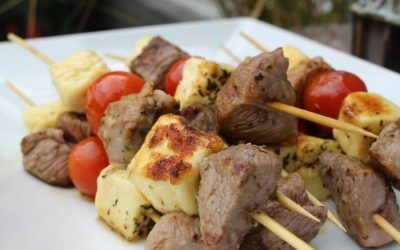 Serve tender and flavoursome marinated lamb and halloumi skewers for a fun and tasty multicultural treat at your Australia Day BBQ, or any time. Try out these delectable halloumi bites with capsicum dippng sauce, perfect for entertaining guests with Olympus Halloumi. 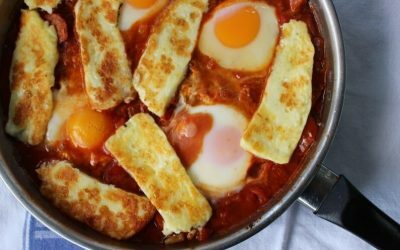 Our shakshuka recipe nests eggs in a rich tomato sauce accompanied by spicy chorizo and all topped with slices of Olympus Halloumi. Feeling like a little something easy and cheesy? Enter the halloumi and mushroom burger. A hearty vego burger to please even the most committed meat lover. Exercise? More like Extra Fries! 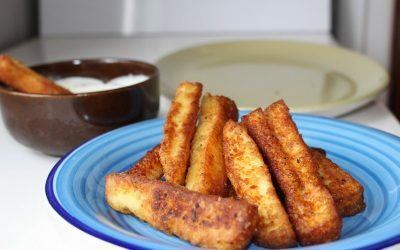 Try this yummy take on a classic and make your own Halloumi Cheese fries with Olympus Halloumi and greek yoghurt dip. Please note: the information provided in this article is intended to be used as a guide only. Olympus Cheese recommends that all persons seek independent medical advice and, where appropriate, advice from a qualified dietitian, before making changes to their dietary intake. Whilst all reasonable steps have been taken to ensure the accuracy of the information contained above, to the fullest extent permitted by Australian law Olympus Cheese disclaims all liability for any inadvertent errors and for any losses or damages stemming from reliance upon the content.